DIY From old drawer into BookCase! 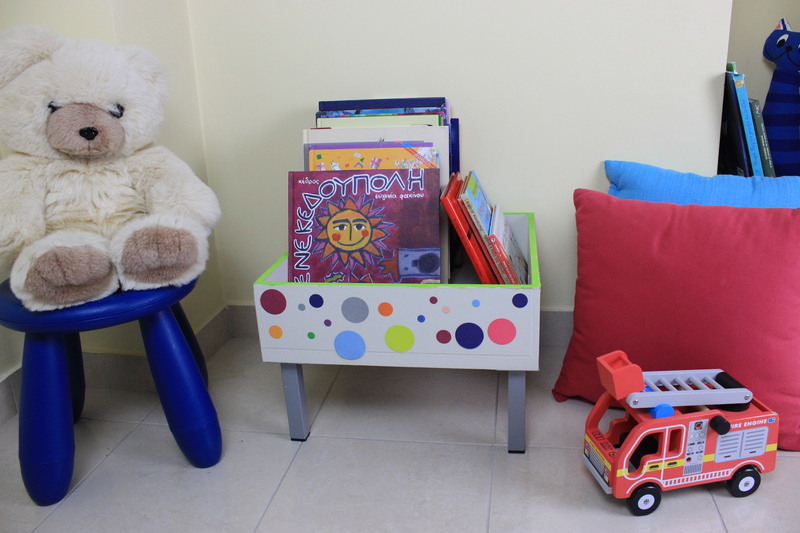 A recycle project, easy to make and to use it for organizing the nursery room and not only! So what happens if you have an amazing family of four that adores reading books and every time we are in a bookstore we always buy new books? Actually you have no free space in your home…. And this is the situation in our house! I have said it before, one of my biggest dreams is actually having a big house with a room just for books. You know a huge library that actually you need to use a ladder for getting them. Currently I have the shelves and small libraries and many books, but I do not use the ladder at all… I have it in my balcony! So far, I never tried a furniture diy, but there is always a good opportunity to test something new. But if you have just the idea and the materials and space of course (yes… again my kitchen became my craft room!) then it is easy to start preparing something different. 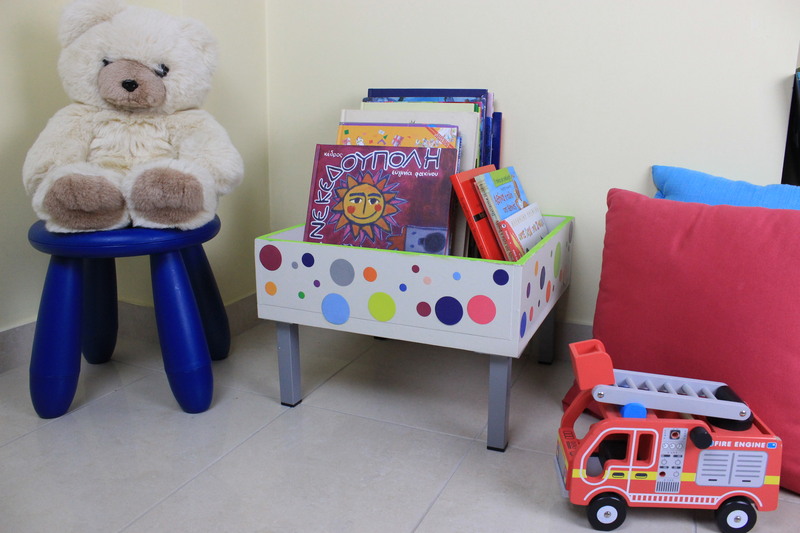 So I desperately need something to organize my kid’s books in their common room, something cute and beautiful and to allow a direct access to books. The idea just came up the day I was cleaning our storage room! What was the idea? 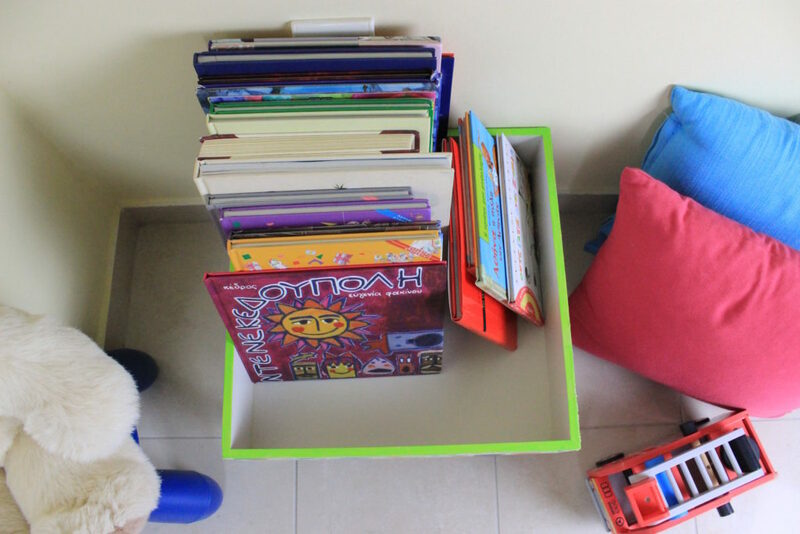 To re-use the old drawer and make a on floor book shelf. 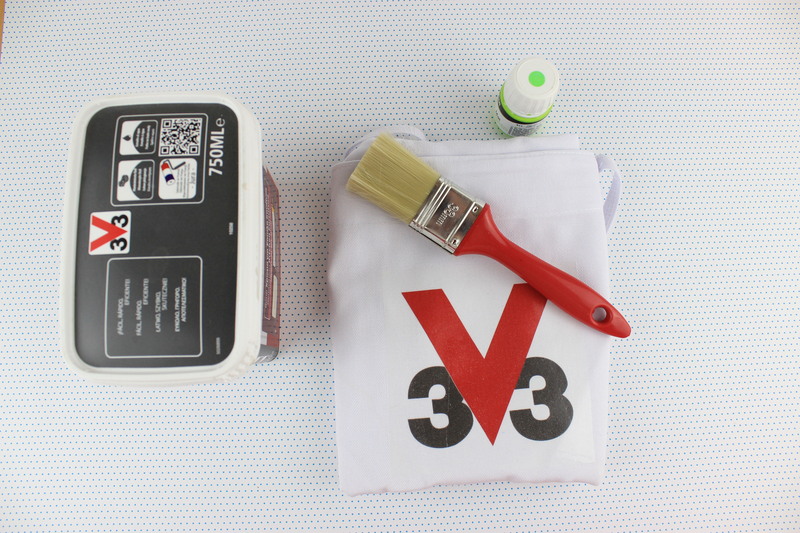 A beautiful package arrived from V33 with all the needed materials and the diy started. For the bookcase I have used an amazing beige color with dusty style and I really adore it! 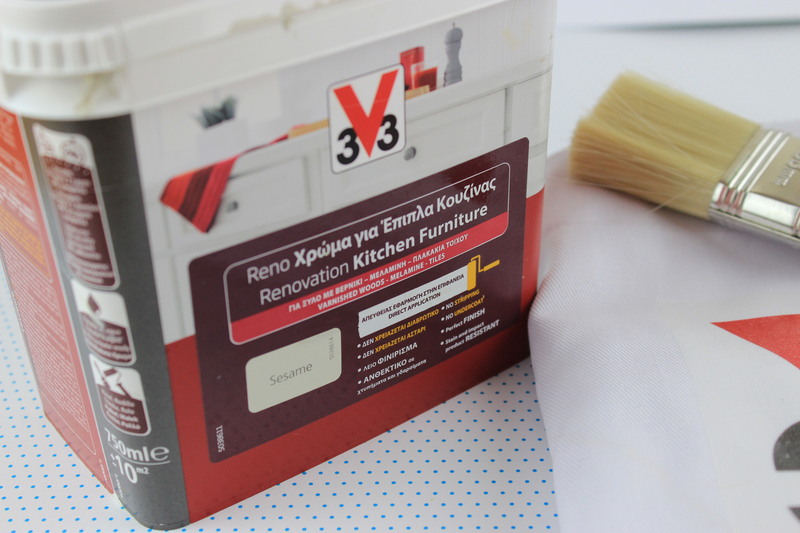 Start by clean the drawer surface and then apply the paint with a brush. Allow it to dry and then apply once more. I did that three times because I wanted the beige to be bold. What I really liked in this paint, was the amazing natural urban color shade. Also the smell was not bad at all, meaning that it was ok for me painting in the kitchen during night and in the morning for the kids to also have their breakfast in the same room. Last but not least, it actually dries really fast… and this is good for someone impatient like me! When I finished painting I realized that it was so minimal… meaning I had to add polka dots! You can always design and paint dots but I prefered to use the dot stickers I found and just use white glue for make them being more stable on the wood. 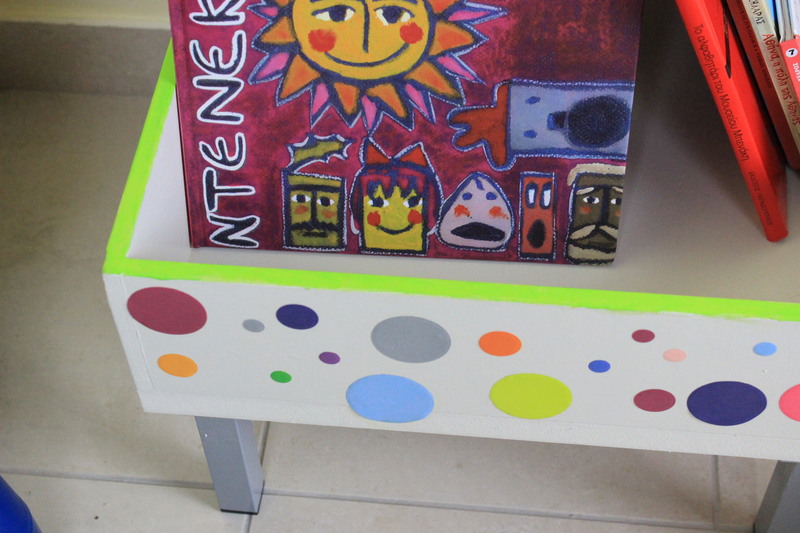 At the end, I have painted the upper side of the drawer with a bright green! And now the best part of this creations… yes you guessed right, I was not involved at all! My hubby was really polite to offer me his strength, since I was really tired (!!) and he actually have put the legs on the bookcase. Of course I was there supporting him, by explaining to him what I want and giving instructions… after that he said he will never help me again! And the Bookcase is ready! The kids loved it and I am so proud of it, because actually I have made so many mistakes. I really enjoyed this that I decided to continue with an additional wood-case for our fireplace, of course in another style! I am so really proud… at least for now…because my cousin somehow will visit us and he will start saying me about the mistakes etc! So…do you have any old drawers? Any ideas how to use them?? ?